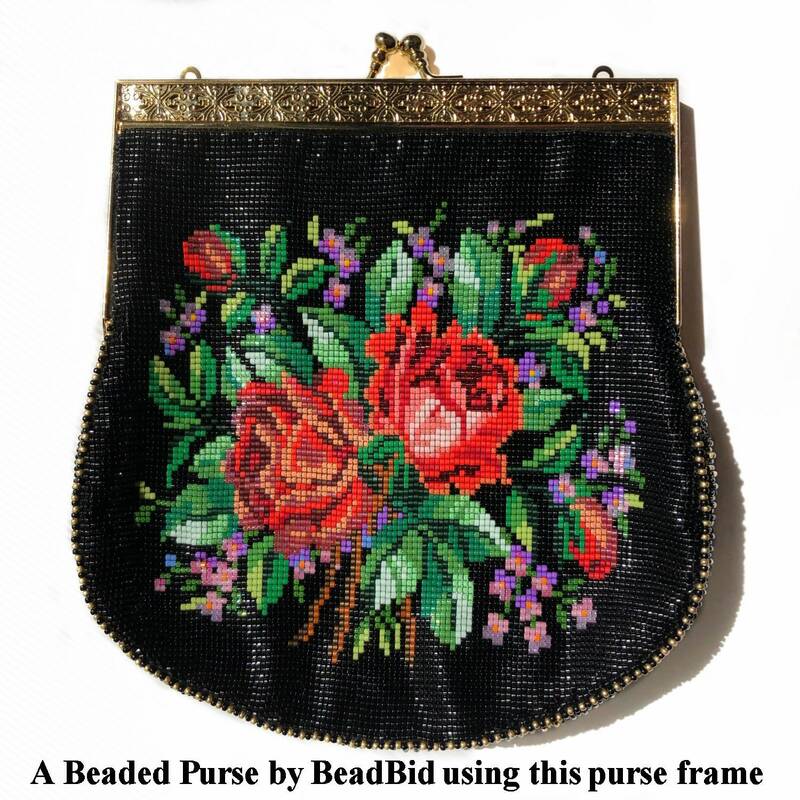 DIY - Ornate Renaissance Handbag Frame for a truly unique purse! 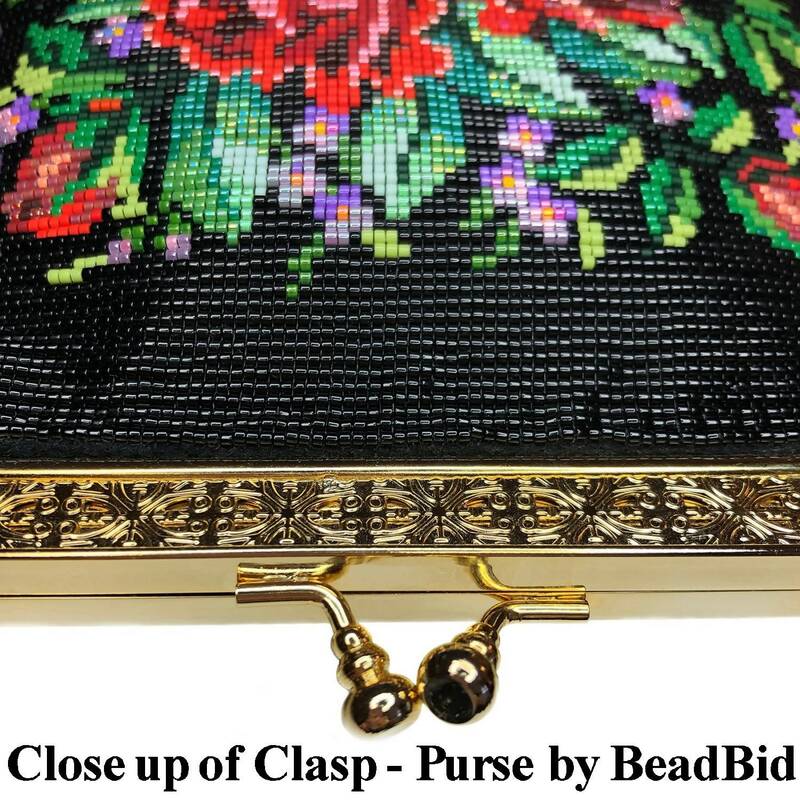 Made of plated gold with a pierced design, this ornate metal purse frame measures 6" across and has hinged loops for a chain that you can make short for a handheld purse or long enough for a shoulder bag. 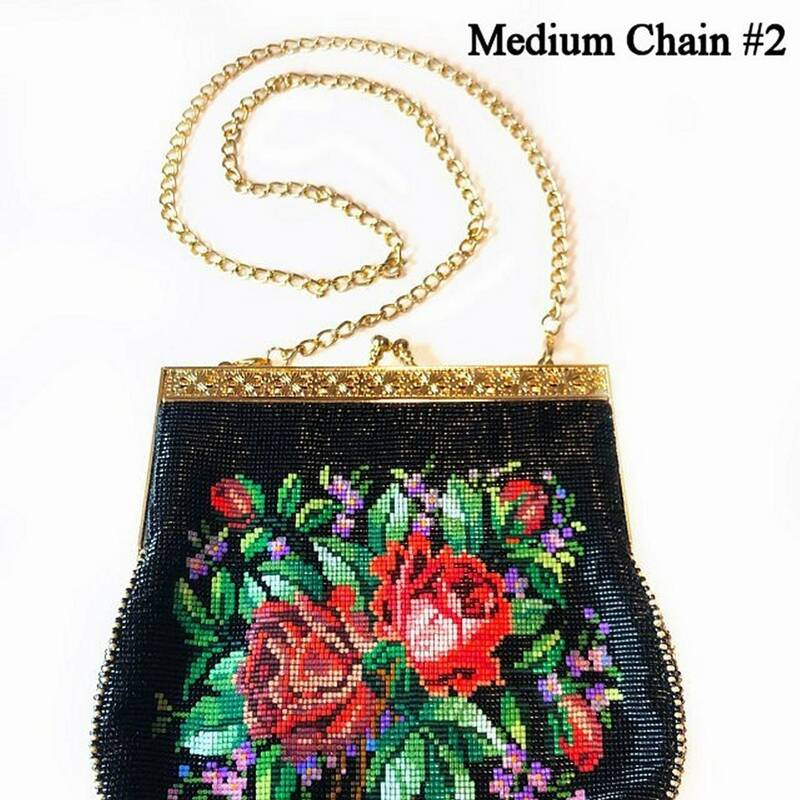 Other lengths/designs of chains can be purchased separately; however, we recommend the #2 medium weight chain for the filigree frames. We have 3 designs/sizes of chain, so let us know if you want one of the other styles/lengths. 1. Heavy duty curb chain made of gold plated steel is 3/8" (10mm) wide and 21" in length. 2. Medium weight gold plated is 1/4" (6mm) wide and 30" in length. 3. 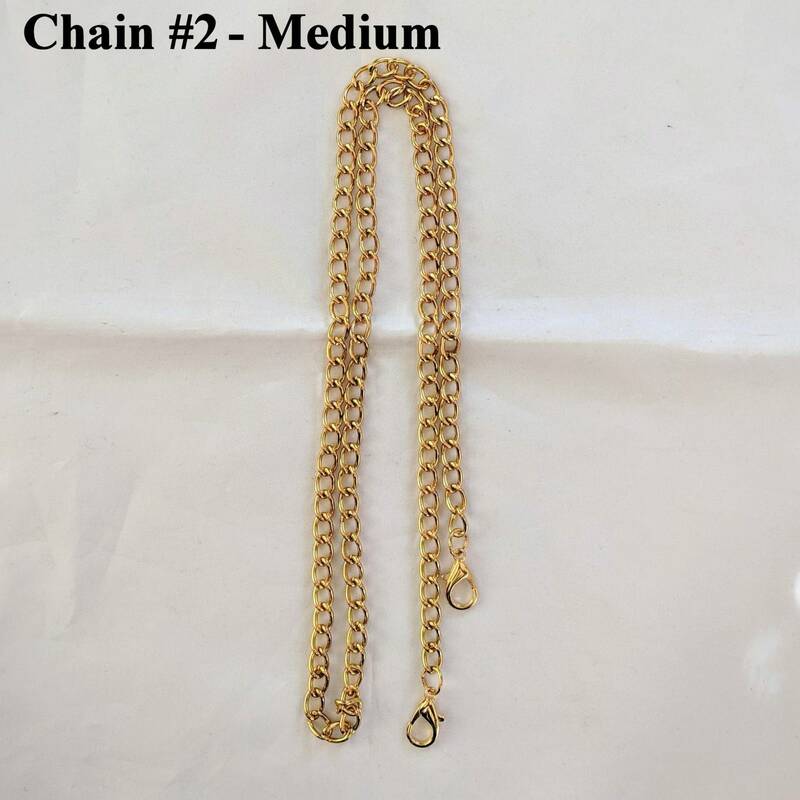 Medium weight twisted chain (gold plated or silver plated) 3/16" and 45" in length. 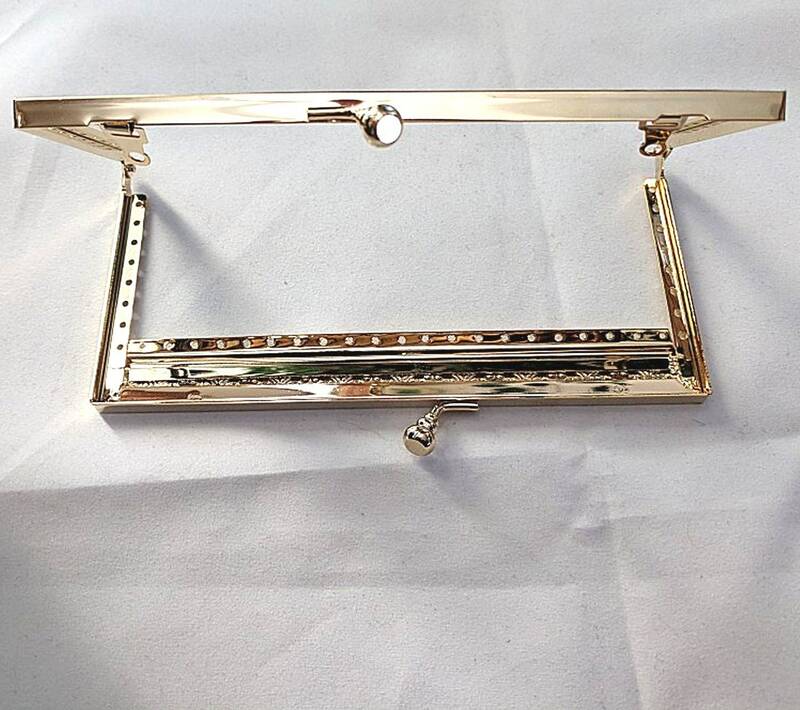 All chains have lobster claw clasps at each end for attaching to the rings on a purse frame. 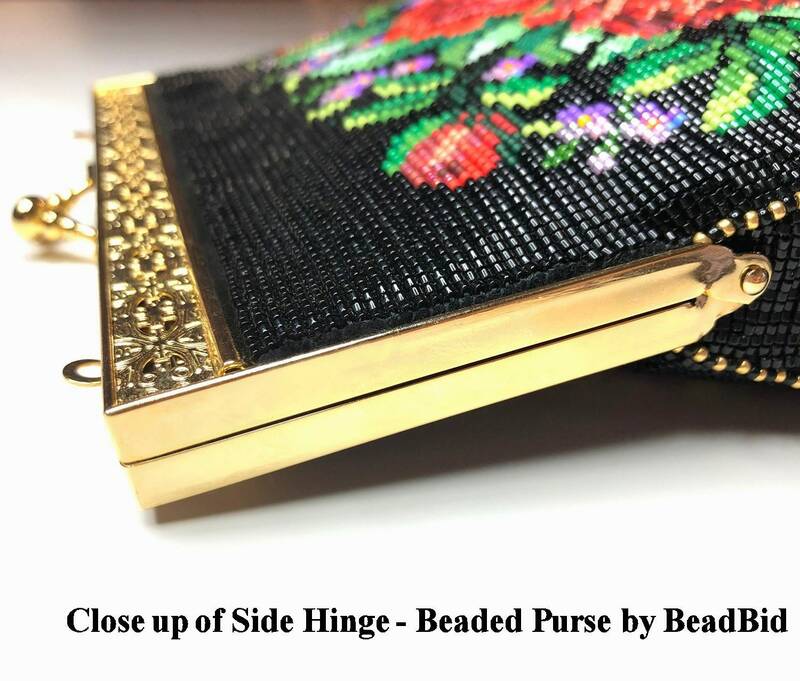 Framed purses date back to the Renaissance when some were very ornate, with huge clasps; while others had a simple clasp. 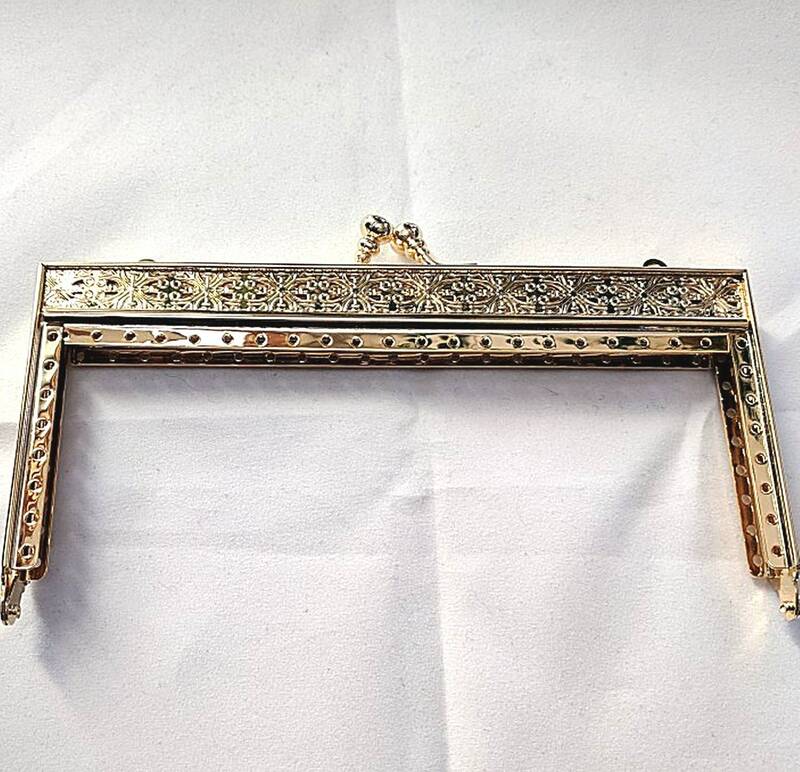 This frame is less ostentatious but still dressy enough to be an excellent accessory for your prom, ball or court wear. 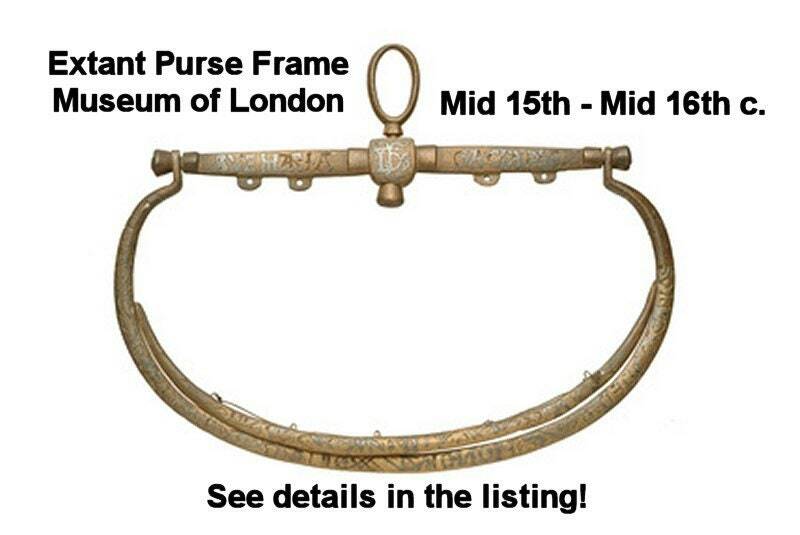 (Last Pic) MUSEUM OF LONDON - 15th - 16th c. Copper alloy purse frame, its central shield-shaped boss has an attachment loop. 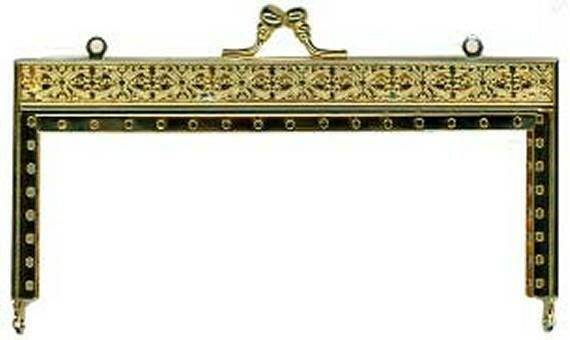 The purse frame has flat section side bars, two pendant frames and is decorated with religious inscriptions. Towards the end of the 1400s it became fashionable for rich men to wear large purses hanging from their belts. They were made of velvet or other expensive fabric fitted to fancy metal frames. 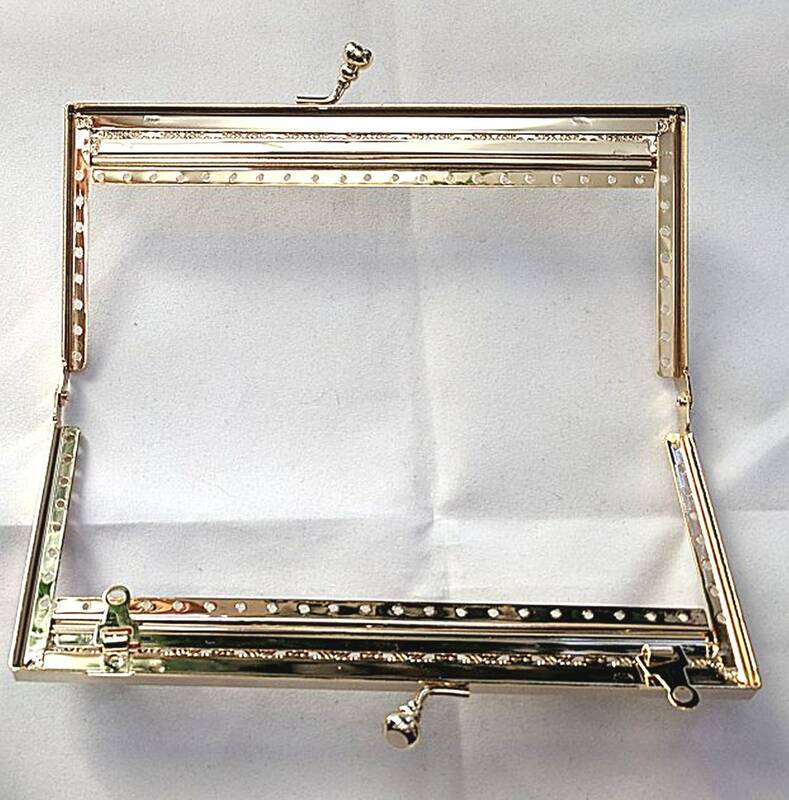 This purse frame is inscribed with Christian prayers to protect the purse and its contents from loss or theft. The upper bar reads in Latin (wrongly spelt) "AVE MARIA GACIE PLE", continuing on the back "A DOMINV TECVM" - 'Hail Mary, full of grace; the Lord is with you'. The hinged frames are marked "DEO HONOR ET [GLO]RIA" and "LAVS TIBI SOLI" - 'Honour and glory to God' and 'Praise to you alone'. I like this frame. Perfectly fits to my project, a very good quality. Friendly service, safe packaging, fast delivery. added your shop in my favorites already. Thank you so much!